General Motors is one of the leading automakers for a reason. The development of its engine series is second to none. The range of I4, V6, V8 and diesel engines provide more than simple power. GM is responsible for the consumer demand with its vehicles. Buying GM crate motors for sale ready for a General Motors vehicle is easy here. 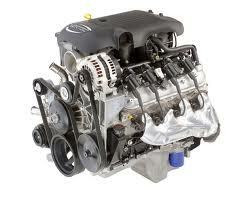 The brand new engines in stock here at https://crateengines.co give immediate installation value. A low price is simple to receive here. We have one low price structure for each motor. Car builders and average vehicle owners purchase here. There are multiple engines in the GM family. These Generation II, III, IV, Vortec, Ecotec and DMAX represent many of the popular styles. The gasoline and diesel motors found here for sale do not slack on quality. Aftermarket builders sometimes pass off a build as a new crate. The new and refurbished motors that are found for sale here provide OEM GM value. Each customer receives individual attention with each sale. We provide immediate information. The helpful pages created on the site provide GM crate engine data. Using our resource for research or purchase is a smart decision. Testing is important to engine engineering. No build can be certified without tests. We’ve invested into dyno testing technology for crate motors. What these tests can do helps build our reputation. Our mechanics are trained experts. No mechanic builds motors perfectly. There is a chance OEM parts can fail. There is a chance internal problems can happen. What dyno testing provides is immediate calibration tests. The building of engines paired with tests provides expert results. Our dyno testing of all crate engines from this company is crucial. No builds leave our company without these tests. The horsepower and long-term value in a GM motor is found here. The certification of each crate motor builds a foundation for its future. Aside from lower than MSRP pricing, shipments are routed from our company fast. This means ordering motors for install will not be delayed. We’re aware of delays in the engine industry. Some builders cannot keep up with shipments. Other builders are third party sellers and drop ship. Our company warehouses our own inventory. This means each GM motor is shipped by us. Our team is trained for excellence. What customers receive is exactly what we build. Shipments arrive without problems. These efforts are part of our customer assurance program. A crate motor is easy to buy here. You only need to submit a quote. You can do this activity by calling or submitting it online. Call into the toll-free number we provide. Our experts immediately help you. GM crate engines sold here are priced to sell. Our no hassle pricing makes quotes faster. Entering your information into our quote form distributes pricing fast. Our team reviews what you submit. After this review pricing is distributed. A General Motors crate engine in our warehouse is waiting to be shipped to your door.